We’re three days away from the NFL Draft! 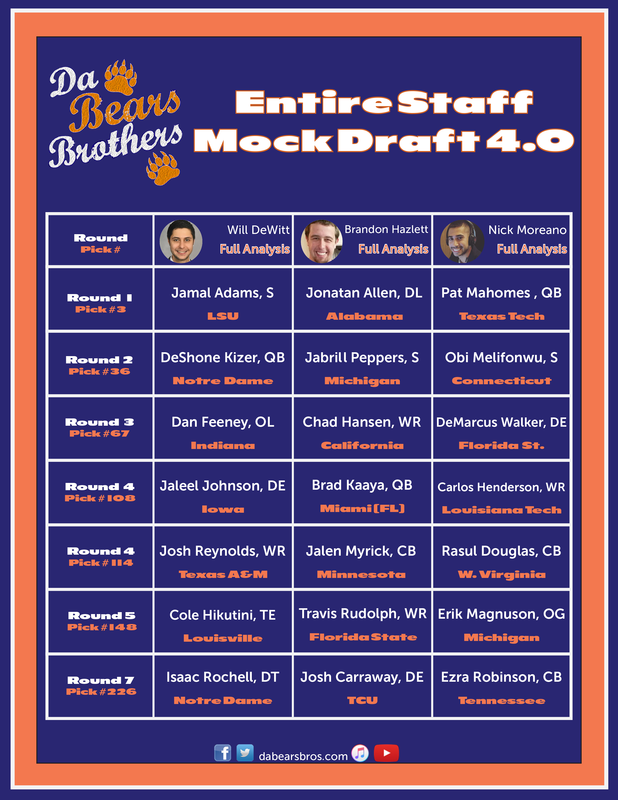 Now that we’re officially in crunch time, here is each of our final complete Chicago Bears mock drafts for 2017. We also went through all three of these mock drafts in our most recent podcast episode, which you can listen to right here.